Do I need special equipment to play messages on hold? If you’re thinking about getting some professionally produced on hold messages for your business, you might be thinking about needing a special on hold player to do so. What you need really depends on the type of phone system you are currently using. If you’re phone system is an older analog style, you likely have several phone cables that run from each telephone to a single point somewhere. Usually in a closet or behind an access panel in the office. In this case, you will likely need a separate on hold player to play messages on hold for callers. Cassette Tape: This option is old school but still works. It plays audio that has been dubbed onto a cuassette tape. The tape gets loaded onto a player with teh audio stored on an internal chip and then plays continuously on a loop. CD: This option is a little less old school. It plays audio that has been burned on a CD. You’ll need to produce and burn a new CD when you update your messages on hold. USB: The digital file (usually mp3) of your message on hold is copied to a USB storage stick and inserted into an external player. Remote: Special equipment is connected to one of your phones, a fax machine or an internet cable, and the message on hold can be uploaded to that device from a remote location. Companies like Nortel, Toshiba and Panasonic all offer external message on hold solutions. 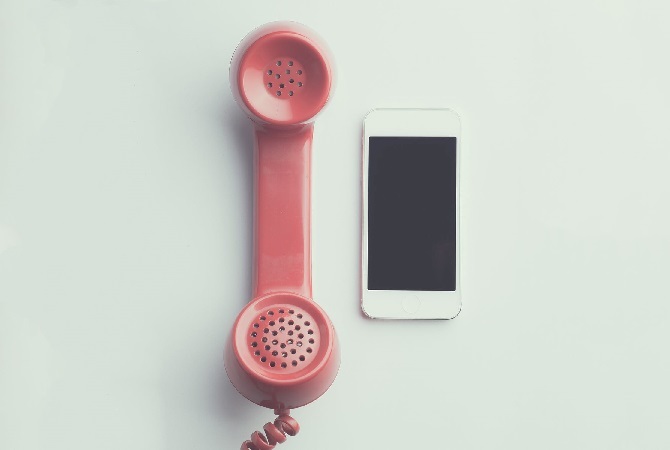 If your current phone system is not compatible with an external on hold player, switching to VoIP can be a practical and smart solution, with many benefits in addition to playing on hold messaging. VoIP phone systems make things easier. More and more businesses are choosing to use a Voice over Internet Protocol (VoIP) phone system to manage their internal and external business communications. In simple terms, the VoIP system will convert analogue signals into compressed digital signals and allows you to make calls over the internet. VoIP phone systems have become the industry standard and typically come with more features at a lower cost compared to older telephone systems. It’s a more effective phone system overall and the ease of playing a message on hold is just an added perk. If you want more information on the communication services a VoIP system can provide your business, service providers like Shoretel, Avaya, RingCentral, Shaw Smart Voice, Mitel and Cisco can help, and show you their specific offerings. Delivering on hold messaging to VoIP systems is easy. Since the systems are hosted online, the audio files can be uploaded without needing an external on hold player. Learn more about switching to a VoIP phone system. Not sure what kind of player you’ll need to provide messages on hold to your callers? We can help determine what you will need and can also offer professional, effective message on hold and phone system prompts for your business.